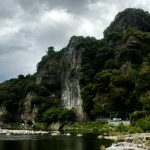 Located in the North-East of the Kyushu island and in Oita prefecture, Kunisaki Peninsula should be on any itinerary when traveling into the South of Japan. 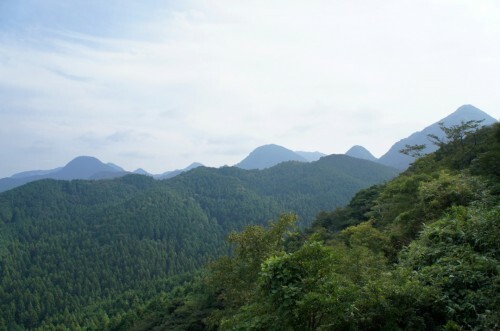 The central area of this peninsula was named Rokugo Manzan (六郷満山), because the location of its six areas are stretched out like a star around and at the foot of Mount Futago. This rural area allows the visitors to feel as if they are in traditional Japan thanks to its preserved nature and culture. 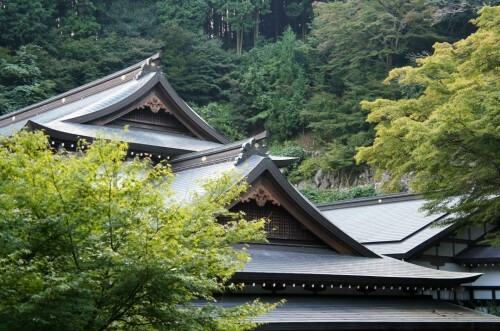 But most of all Rokugo Manzan is an important worship location, as the birthplace of the combination between Shintoism, Buddhism and the older mountain cults. 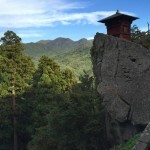 Mount Futago and its surrounding valleys are known for being one of the areas where singular worship was born, a symbiotic mixing of the ancient mountain cults with Shintoism and Buddhism. Thus, the region is quite rich in extraordinary and unique religious sites. If you would like to read more about Kunisaki’s culture, have a look at this article. Here is the main entrance to the Futago-ji temple. These two stone statues called Nio, guard the entrance to many Buddhist temples. 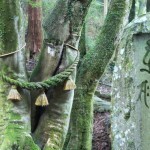 And at the bottom under the gate, one can notice the presence of Shimenawa rope and Shide paper stripes, two signs that symbolize the entering into a Shinto sanctuary. 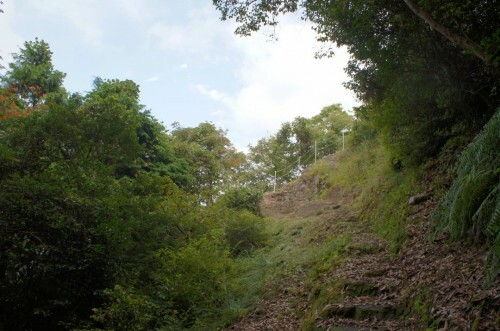 The Rokugo Manzan area has grown around Mount Futago and the older mountain cult to which Shinto and Buddhism were incorporated. It is therefore not a major surprise that the mountain is thus one of the most important cultural asset of the area. From its heights, the mountain offers several scenic views over the region and out toward the Seto Inland Sea of Japan. Monks and pilgrims used to travel through these mountains, so now their tracks are available to hikers. The Kunisaki Peninsula Minemichi Long Trail (website only in Japanese but there is a bilingual Japanese-English pamphlet on the spot) offers 10 different hiking routes through the Peninsula with several levels of difficulty. 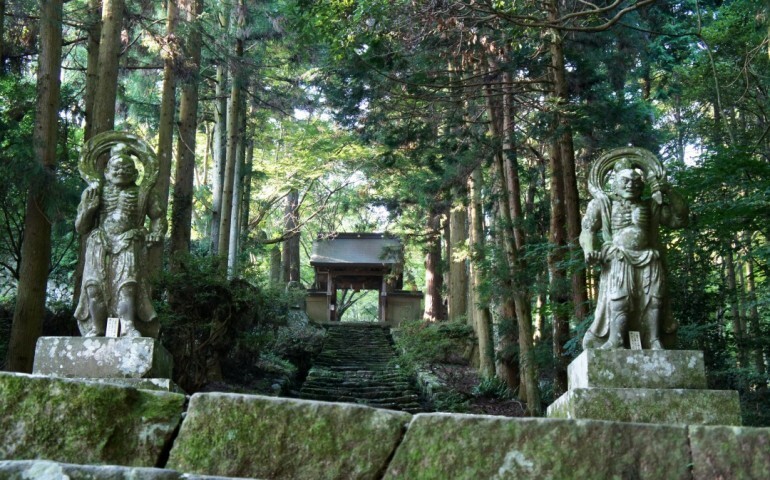 Scattered along the road, many places of worship and spirituality cover the slopes of Kunisaki mountain. One will for instance encounter temples, ascetic retreats places (such as the Itsutsuji Fudo pictured below) and some sanctuaries – some of them quite tiny though – as well as and stone statues. 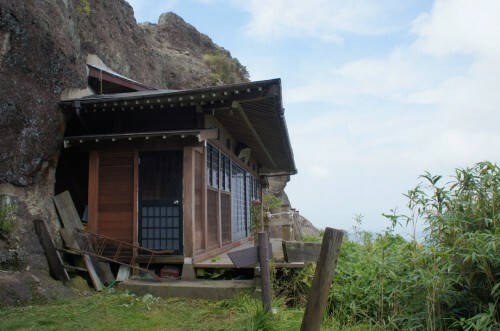 There is also a place for Art in the Kunisaki Peninsula mountains. 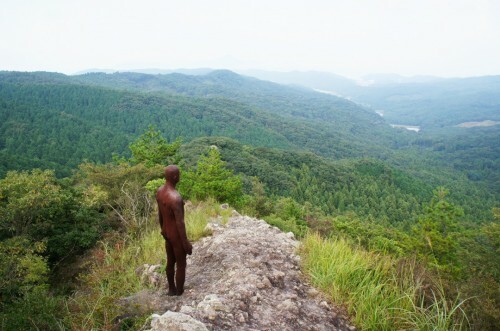 For example, one can discover “Another Time” standing on the slopes of Mount Fudo. This work by the British artist Anthony Gormley is an iron-covered sculpture, representing a man looking far into the Inland Sea. This work of art was erected during the 2014 edition of Kunisaki Art Festival. The Kunisaki Peninsula was designated in 2013 as one of the GIAHS (Globally Important Agricultural Heritage System – World Agricultural Heritage). Rokugo Manzan area is indeed a very rural region which has preserved some quite ancient agricultural techniques. Thanks to the oak forests and a whole network of ponds, the region has a quite unique irrigation system. Thus, Shiitake mushrooms, which are a common ingredient in Japanese cuisine, are at the heart of Rokugo Manzan traditional agriculture. The mushrooms play a role in forest conservation and soil fertilization. Many other quality products are grown here too, such as Kabosu lime, grapes, and a very fine rice which is served at the Emperor’s table. Finally the Shichitoi grass, a strong tatami material found in judo practicing rooms is also grows here. 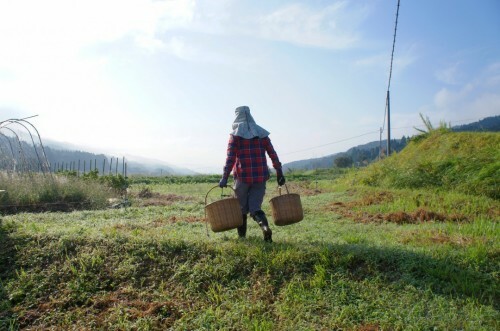 Even if you have little interest in local agriculture and technical particularities, it is unlikely that the charms of the Rokugo Manzan area will not move you. Indeed, the region has so many stunning landscapes covered with rice fields and valleys. 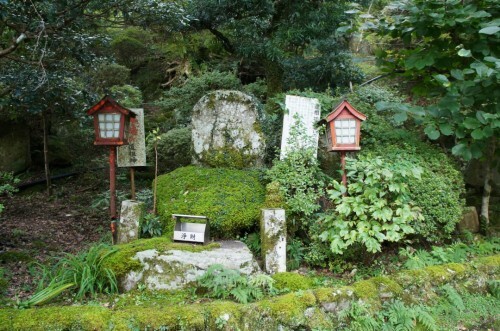 Besides, there are also many traditional houses and small Shinto sanctuaries hidden in many of the tiny villages. 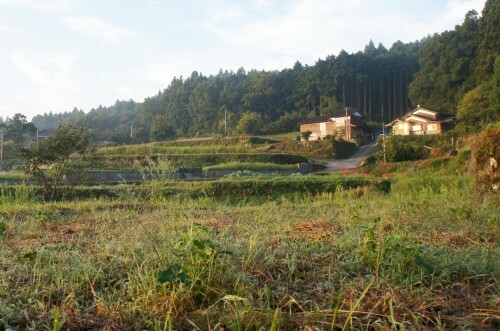 The best way to discover Rokugo Manzan’s beautiful countryside is to spend the night in a guesthouse. I especially reccomend a nôka minshuku (農家民宿). Here you can stay with a local family and experience the culture firsthand. 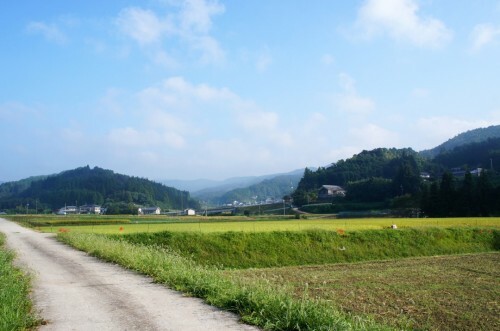 • By car: As the Kunisaki Peninsula is very rural, the best way to discover it is to rent a car. There are some Rental car agencies at Oita airport. Alternatively you could ride a taxi, but this may be expensive. • By train: From Kokura station, one can take the JR Nippo Line to Usa or Kitsuki station. • From other cities: There are direct flights from Tokyo, Osaka and Nagoya to Oita airport. From Oita airport direct buses allows to reach Kitsuki, Usa and others numerous destinations. 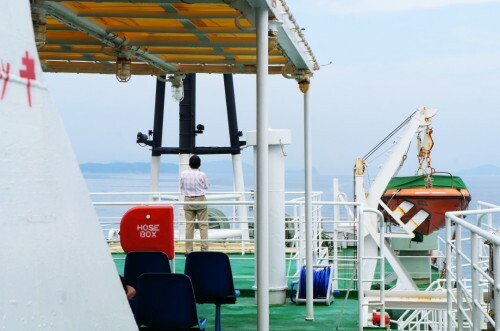 • By ferry: One can also reach Kunisaki Peninsula by boat. 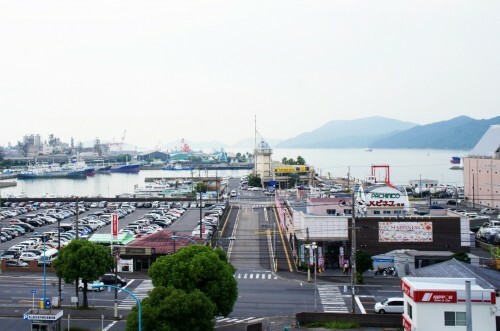 There are round trips between Tokuyama (Yamaguchi prefecture) and Taketazu port. Getting to Tokuyama Ferry terminal is quite simple, just keep going straight for three minutes from the station. As there is only one boat, it is impossible to get it wrong, even without speaking a word of Japanese! During the trip one can sit in the lounge areas for picnics, watch television, read a book or play cards. Furthermore you can enjoy the scenery from on deck. 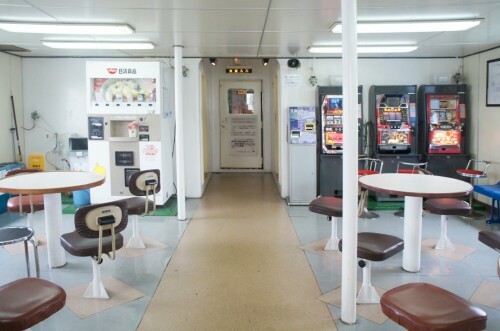 There are also some slot machines and a cup ramen (instant noodles) vending machine too. 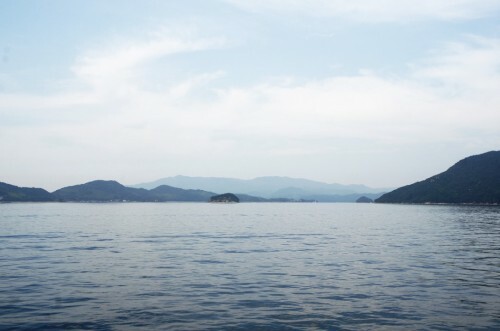 My advise would be to go out and admire the Seto Inland Sea and its numerous islands from the boat. The view is really stunning. 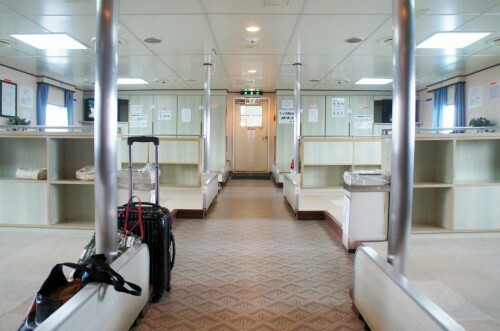 More informations about the ferry here (only in Japanese). And over here about the schedule. To read more about Kunisaki Peninsula take a look at Kunisaki Tourism Association website, here. The Oita Prefecture’s Official website over here. is also useful.